Tangram is a Chinese patience game, which is already over 2000 years old, but still inspires today with trickiness and sophistication. Countless figures can be made with only seven geometrically shaped pieces. 200 enclosed templates show the variety of the game of Remember and guarantee puzzle fun for several people. But please note: Patience is required in this game! Try not to get frustrated and look at the solutions too quickly. You will be doubly pleased to have solved the puzzle on your own in the end. 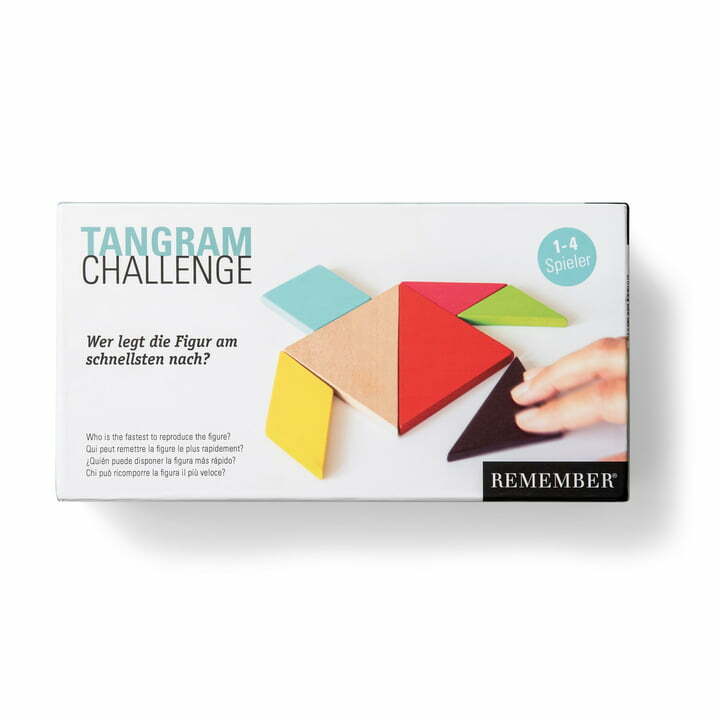 The Tangram Challenge is made of lacquered beech wood. Tangram is a Chinese patience game, which is already over 2000 years old, but still inspires today with trickiness and sophistication. Countless figures can be made with only seven geometrically shaped pieces.